"Roberta Smith assisted my elderly relatives with the sale of their home when they moved to assisted living. She was warm and caring, but also professional in every aspect of the process. The house sold in less than one day. We are pleased and highly recommend Roberta." 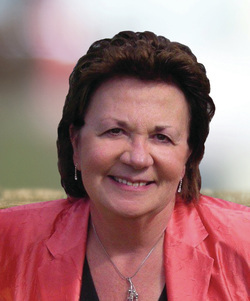 ​A native of the Finger Lakes area, Roberta is your seasoned professional. Her many years of experience in marketing, public relations, and administration, as well as her knowledge of finance, will help in realizing your dream. Knowing first-hand the importance of quality of life, Roberta is here to service your every real estate need. With return customers year-after-year, she has consistently ranked as a top-producer amongst her peers and has been a recipient of several awards. Roberta will provide you with the best possible results you expect. Member Greater Rochester Association of Realtors, Inc.
"Roberta is the best agent ever!" She has sold 2 properties for me. She is extremely knowledgeable in all aspects of real estate. She goes above and beyond. I had moved out of the area while the 2nd property was for sale and she took care of everything for me. I had no worries. The closing was quick and easy, all due to her hard word. If I ever have a property to sell, Roberta is the 1st person I would call." "With great delight, I tell everyone what an outstanding Realtor I found in Roberta Smith. Patiently, and in her refreshingly straightforward manner, she answered all my questions and put to rest any doubts. I found that she was there for me every step of the way. Combine these elements with a sharp intellect and great sense of humor, and you have the Quintessential Realtor." "I've dealt with 9 or 10 Realtors in Georgia, North Carolina, Virginia, Indiana, and New York - Roberta is by far the best I've ever worked with!" "Roberta was very accommodating, always cheerful, helpful and knowledgeable. It was a pleasure working her." "Can't say enough in her favor. She worked very hard for us. Always to our defense when we needed her. Always a phone call away - always there no matter what we needed. If it wasn't for Roberta, we wouldn't be in our new home. She said she would guide us through all the way and she did! She is a great Realtor and a wonderful person." ​"Roberta, better known as Bert, is a wonderful real estate agent and I consider her a friend. She did an excellent job for me and anyone should be glad that they have her working for them."